There are more out-of-the-office jobs like customer service agents, accountants and medical records technicians. Forbes magazine says some of the best work from home companies include Aetna, Amazon, United Healthcare and Transcribeme. But to get a good job, you have to get through all of the scams first. Scam warning signs include getting check before you work, being asked to spend money right away, interviews being done by texting only and promises of making unusually big money. 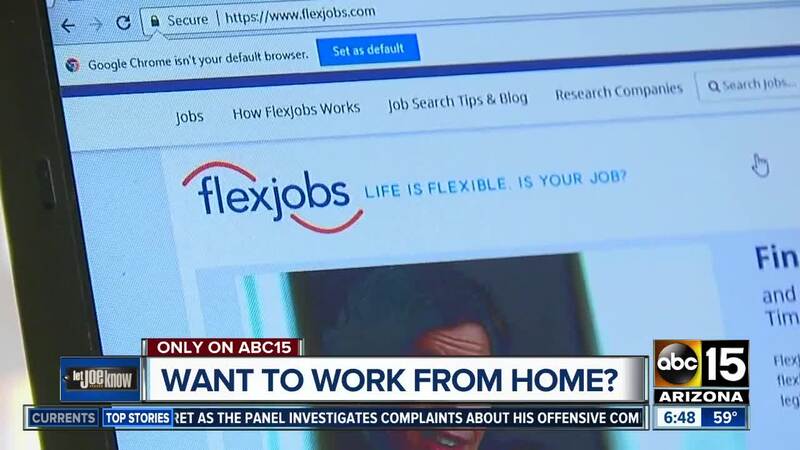 Flexjobs.com offers legitimate work at home options. Right now in Arizona there are jobs like talent acquisition manager, medical claims reviewer and legal receptionist. But, you have to be disciplined. The obvious problem is spending more time on family, than work. Click here to find Arizona jobs.